Companies can help the economy by using more properly licensed software, according to industry group BSA/The Software Alliance. But it has been criticised for not facing up to the fact that some firms see more advantage for themselves in using pirated software, or at least turning a blind eye to its source. BSA is citing a study, Competitive Advantage: The Economic Impact of Properly Licensed Software, carried out by the international business school INSEAD. 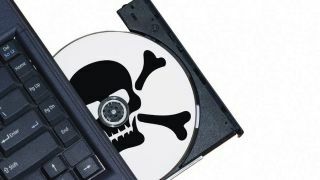 It's claiming that for every 1% increase in the use of licensed software the activity generates about £2 billion in national production, compared with just £469 million when it's pirated. It estimates that each additional pound invested in legal software there is a £37 return on investment. Julian Swan, Director, Compliance Marketing at BSA EMEA, said: "Using properly licensed software reduces risk and creates operating efficiencies that go direct to the bottom line for business." But a past critic of BSA is questioning the validity of the figures and claims the BSA is missing the point for many businesses. Matt Fisher, Director licensed management solutions firm License Dashboard, said: "Haven't the BSA realised their messaging isn't resonating yet? Making highfaluting claims as to the economic benefits of non-pirated software will do very little to cut piracy. "It is firms, not abstract 'economies', that need to be shown the value of software since they're the ones that actually use it." BSA has responded with a defence of the research. Swan told TRPro: "We stand by the study's rigour. "In addition to educating businesses on the pitfalls of using under-licensed software, this study cogently demonstrates the economic disadvantage of using unlicensed software – which remains an important message for policy makers; a key audience in the campaign to reduce software piracy around the world."